To many people display lighting is an art form, although many of the general public will wander around the city centre blissfully unaware of the consideration that has gone into the illumination of various objects, the way these objects are illuminated is of the utmost importance. Not only can good quality lighting draw the eye but poor quality lighting can compromise its subjects’ appeal. This is why we offer a comprehensive range of track and surface mounting LED display spotlights to choose from, to which we are pleased to introduce the Capri LED and the Linosa LED. With a contemporary design and power consumption of just 17W the Capri LED fits well into our range of high performance spotlights. Available in a number of variations the client can specify which colour temperature is best suited to their application and what beam angle will be most appropriate for the lighting design. Our new Linosa LED also features a contemporary design and would not look out of place in a high fashion retail environment or fine art museum. 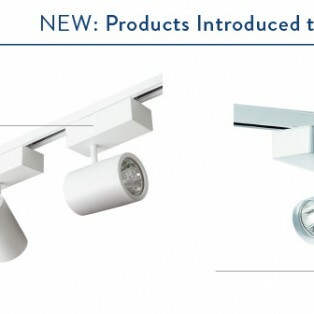 The Linosa and the Capri have several features in common, though the Linosa is more powerful and available with a wider beam angle and a choice as to whether the control gear housing is mounted vertically or horizontally. To browse our full range of high performance spotlight visit the Display: Track & Spot section.